Hey fanboys, it’s a Disney movie based on a princess story. It’s not for you. Shouldn’t you be getting ready to savage TMNT or Transformers? 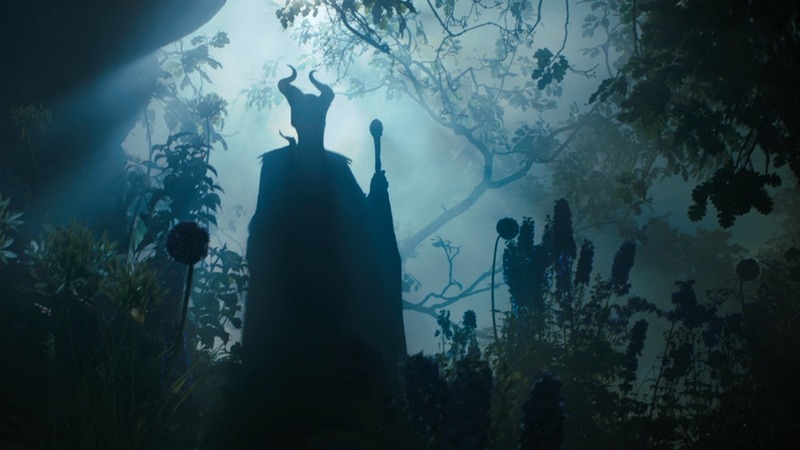 Maleficent is a live-action film closely based on a cherished Disney animated classic, Sleeping Beauty. (Which of course was based on established classic works; La Belle au bois dormant by Charles Perrault and Little Briar Rose by The Brothers Grimm.) Disney has fistfuls of animated movies that they based on classic tales, and you should expect to see nearly every one of them made into a live action film over the next 10-20 years. After the monster success of the live-action reimagining of Alice in Wonderland, Disney became bullish on these and it’s easy to see why. They can essentially recreate their early days as a studio, updating classic tales one at a time, only with actors instead of pencils this time. After Alice, Disney next took on The Wizard of Oz with their 2013 film, Oz the Great and Powerful. 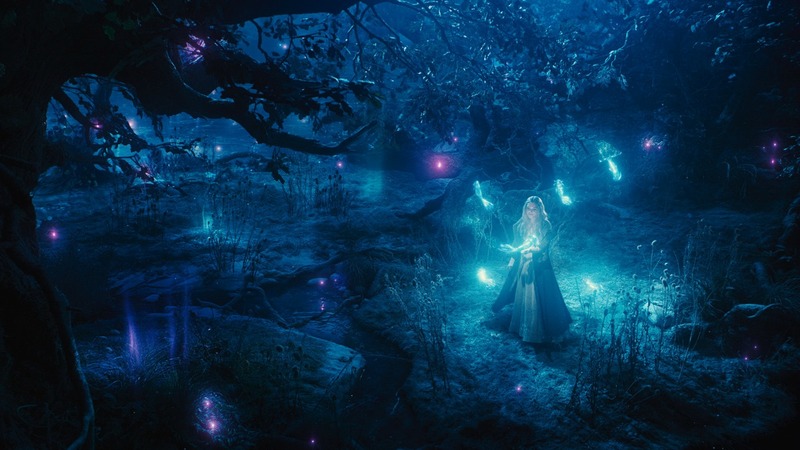 Alice and Oz shared the same production designer, special effects professional Robert Stromberg (also designed Avatar), who is given the reins for Maleficent as his directorial debut. Yes, Disney hired a first-time director for a 200 million dollar film. Think they don’t know how important the look of these movies is? Written by Linda Woolverton, who with her last picture (Alice in Wonderland – seeing a trend here?) became the first female to be sole screenwriter to a one billion dollar movie. She also wrote Beauty and the Beast, co-wrote The Lion King and brought both to Broadway. So does this mini-rant mean that Maleficent is the feminist movie of the season? Don’t be silly. It’s a kids movie; a modern telling of a very old story. And it’s a good one. 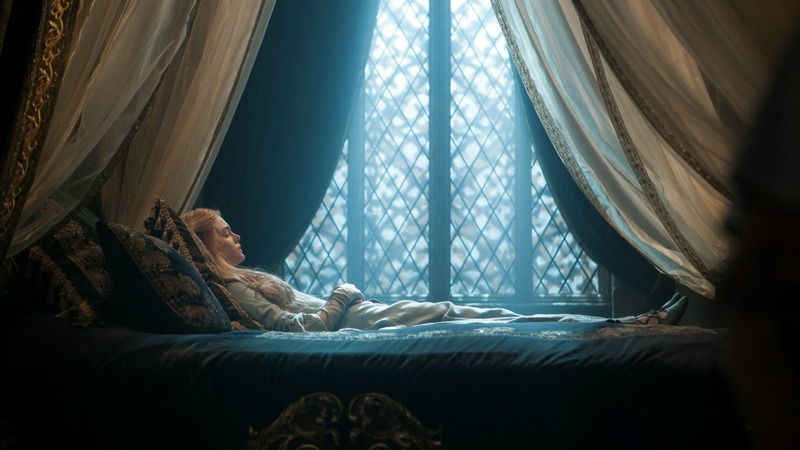 You know the story of Sleeping Beauty or you wouldn’t have come this far. While I haven’t seen that movie in a while, I saw it more than enough during my daughter’s princess years and recall it as a surprisingly meaty movie. It was the one that really stuck with you as a kid, and that’s entirely because of the villain. She was mean, nasty and turned into a dragon – one of the greatest screen dragons of all time, mind you. The look of this character is so important. Marc Davis (one of Disney’s Nine Old Men) was the animator credited with developing the look of Maleficent in the original Disney film and he is actually acknowledged in the end credits of Maleficent – a nice gesture. For the live-action film, they’ve taken this character and run with it. Maestro Rick Baker applied his makeup wizardry to transform Jolie into a horned, angular vision that is enchanting. The amazing costumes were designed by Anna B. Sheppard, who you would have to consider a mortal lock for an Academy Award here. 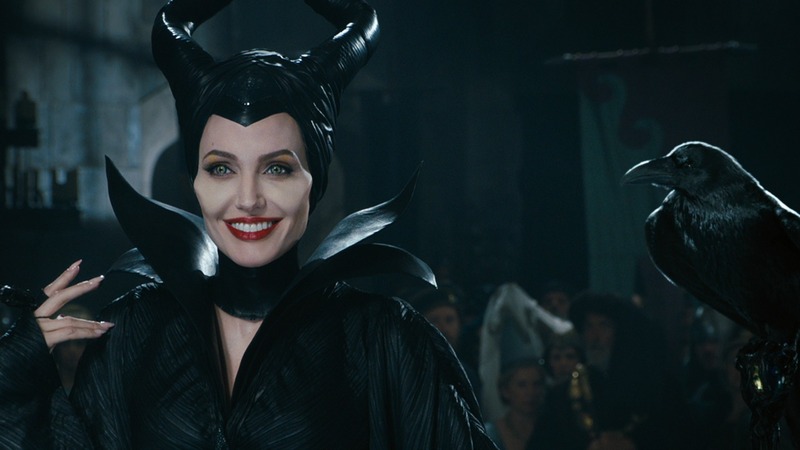 Angelina Jolie is masterful here. She really embodies the character so fully that it’s hard to remember another role she so completely filled. You quite simply could not have made this picture with anyone else. This is a King & I/Yul Brynner moment. The movie really belongs to the main character. That’s good. 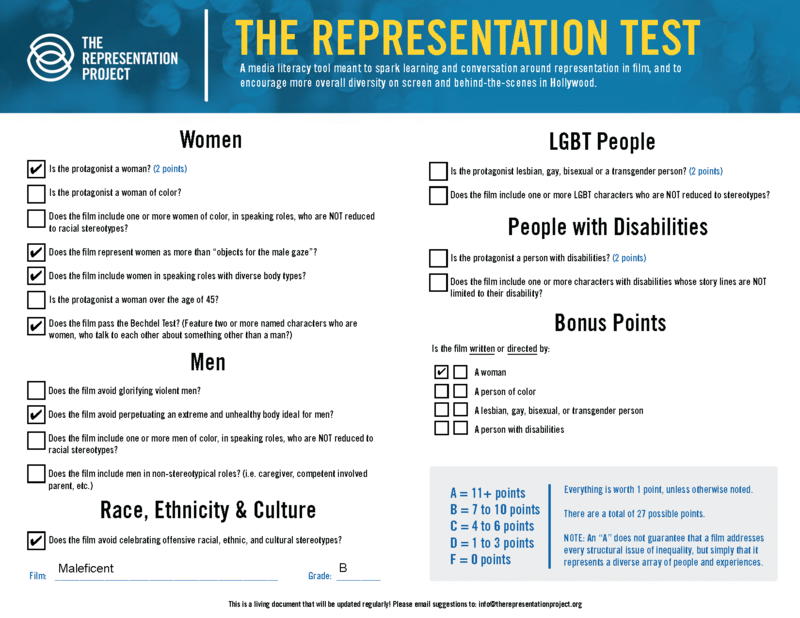 The other characters are probably a bit under-written as a result, though. 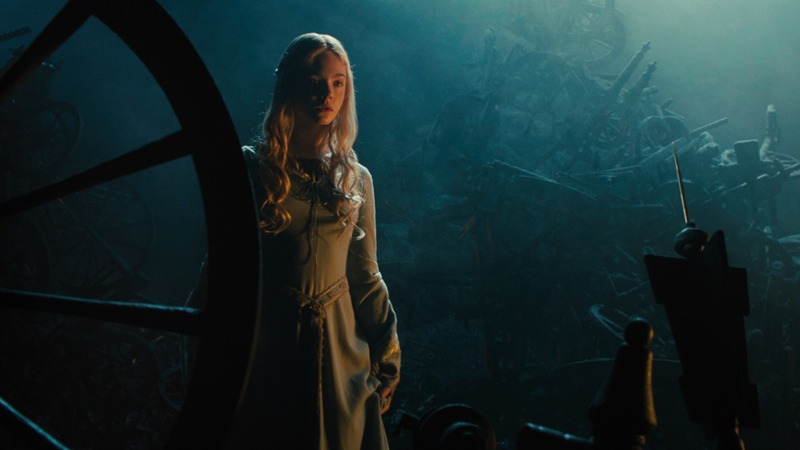 Elle Fanning is wonderful as Aurora, even if not given a lot to do. They make an interesting choice in never calling her Briar Rose. The two women have some very nice scenes together, but nothing is as funny or charming as Maleficent interacting with the younger versions of Aurora – great stuff. 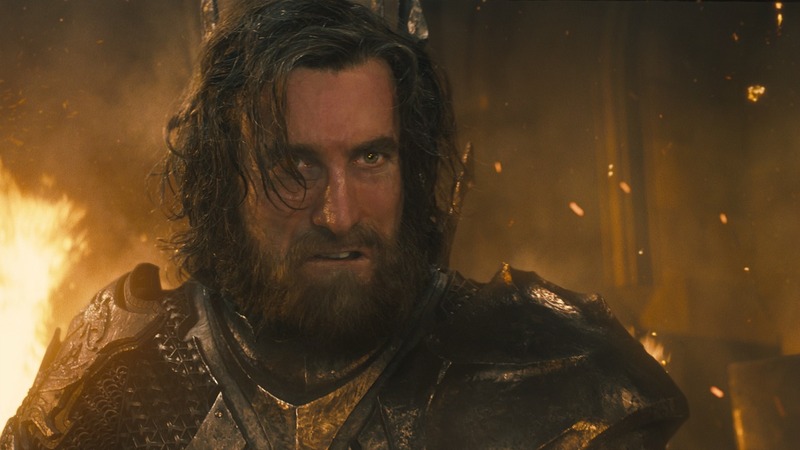 King Stefan (Sharlto Copley) is a total tool whom you can’t wait to see less of (the character, not the actor). He has a queen, presumably, but blink and you’ ll miss her. 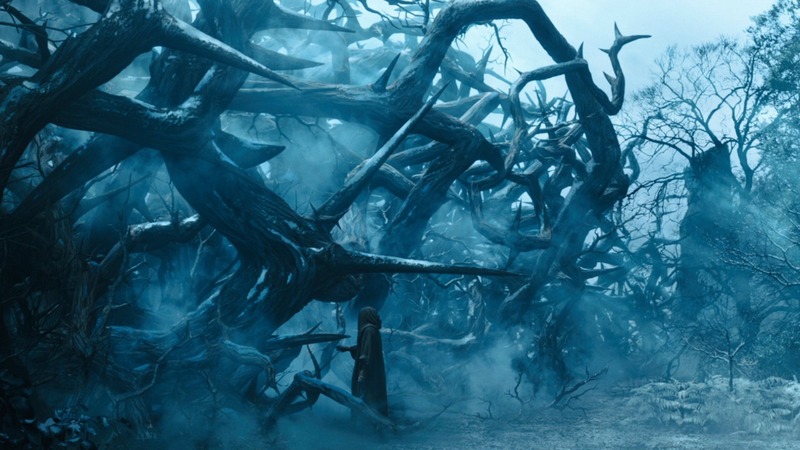 English actor Sam Riley gets a nice role as the shape-shifting Diaval. I actually think the sometime-crow gets the most screen time of anyone besides Maleficent herself. Visually, I’d have to say it is a success. Not a triumph, because I’m still not totally at home with these overly digital creations. There’s a sameness to them that’s cheapening modern films. 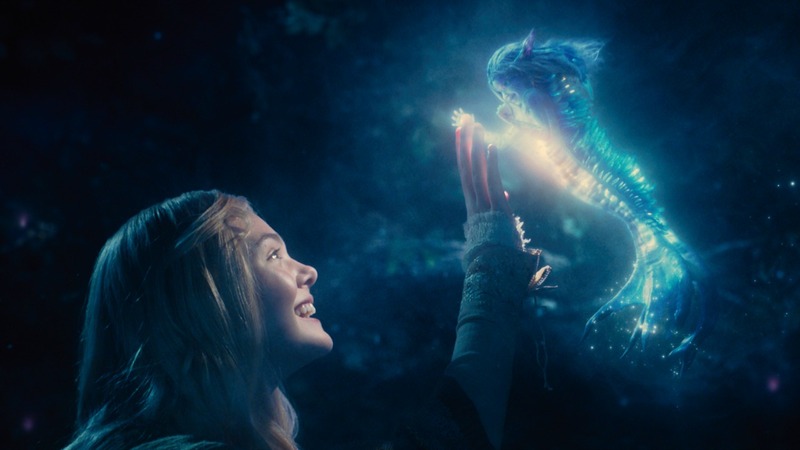 If you took stills of the individual creatures that inhabited this movie, Narnia, Wonderland, Oz or any of the other semi-recent CG movies and mixed them all up, I’m not sure you’d have any idea which film they came from. These things could be climbing a beanstalk, roaming Hogwarts, sailing the Caribbean or fighting in the arena and I don’t think you’d notice a difference. The big exception is the “good” fairies. They’re terrible. Motion capture of the worst variety. The closer we get to digital actors the more the little differences matter (I’m sure that’s a quote or a maxim; if not, it is now). Their heads are too big and the dead eyes are really unnerving. I stopped just short of closing my eyes every time they were onscreen. Maleficent is a good picture. It’s a good summer movie, it’s a good kids movie, and it’s fun for anyone who lets it be so. It’s not a new classic, but lots of kids will think it is, and that’s fine. Plot A vindictive fairy is driven to curse an infant princess only to realize the child may be the only one who can restore peace. Tagline Evil has a beginning.